My granddaughter was so excited to get to read this book. She had just went to a nature preserve story hour where they talked about frogs and other pond creatures. She was even able to pet one. Some of the children said no to petting one so she totally understood how someone could be afraid. 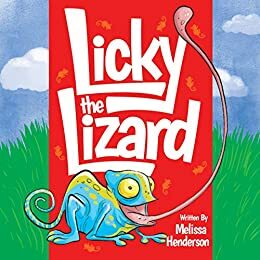 She laughed when she realized how afraid both the human and the lizard were in the story. We loved the illustrations that made the story come to life. The long tongue of the lizard totally amazed both of us. Then the lady's hair standing on end cracked us up. A short story that kept her attention and we loved it! A great reminder that no matter how different you are to someone else God loves you. This would be a great Easter storybook. because we are all created by Him—and He loves us all. Your welcome. We loved it!